Discussion in 'BMX & Dirt Jumping' started by asa, Mar 8, 2008.
. . . not a pump track . . . but i've been working with the local xc riders at a park next to my work to "pump up" some of their trails. it's been popular so far. Nice berm! Digging is good! Hopefully, the park is cool with it and all your work doesn't get bulldozed. 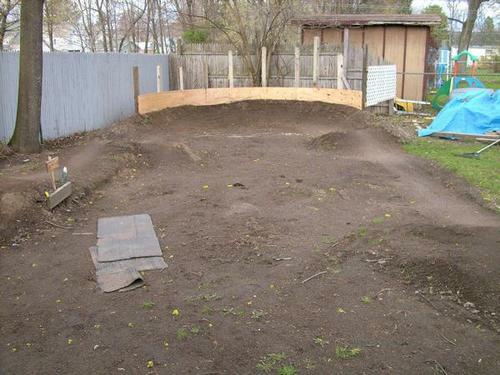 i'm planning on building up that berm up with more bowl-corner ish transition. 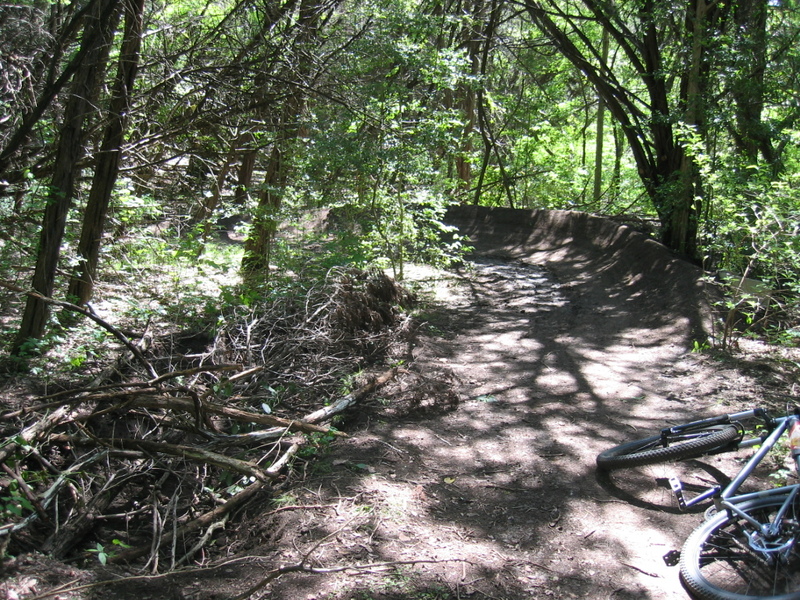 since this is a city park, mainly xc riders, gotta keep things mellow but fun. here's another berm we did last year. even though it's not that tall (maybe 2ft), you can still hit it fast, because of the tight transition. Sweet. 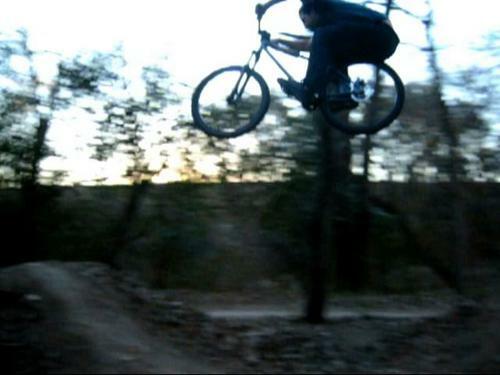 Yeah, berms don't have to be 6 feet high to rail. Nice job, keep it up! 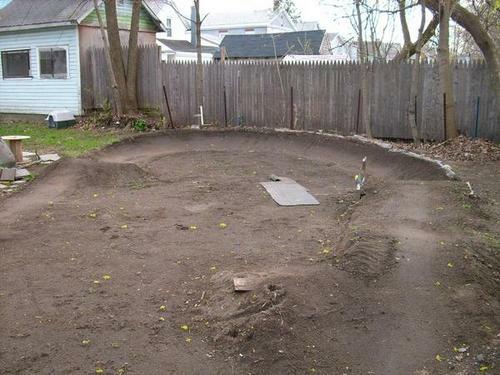 nice looking berms man, they look fun to ride. My buddy Mike's backyard mini-pump in progress. Very Cool! Looks like a lot o' potential in a little space! Awesome! I wish I had some space like that! I have some room to add to mine once I get my hands on some more dirt, but I am jealous!